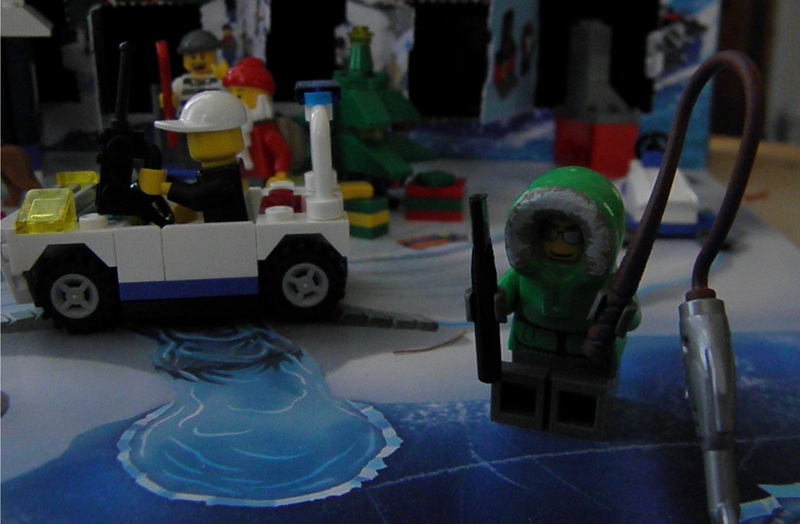 What’s Up, Lego Advent Calendar? Yeah yeah yeah, it’s January and I’m just cleaning up my Christmas stuff. Busy mother, remember? Half the point of this whole blog? Anyway. Every year my mother buys either a Lego or Playmobil advent calendar for the kids. 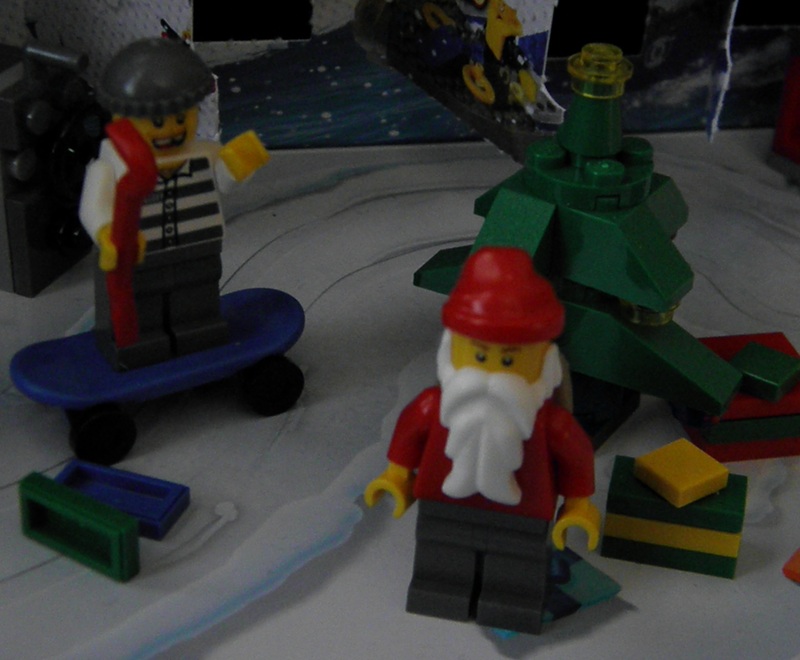 The Playmobil ones are fun because they’re re-usable, and they all have a holiday theme. We have several now and sometimes we set them all up so the boys are opening four or five calendars every day. The Lego ones are fun because they get to build a little something every day and get lots of Lego people for their collection. 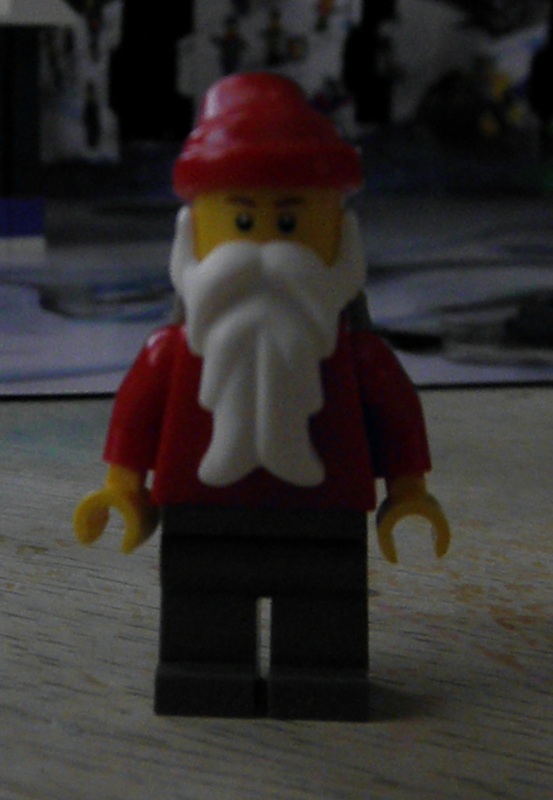 While they have a little bit of a holiday theme (you always get a Santa! 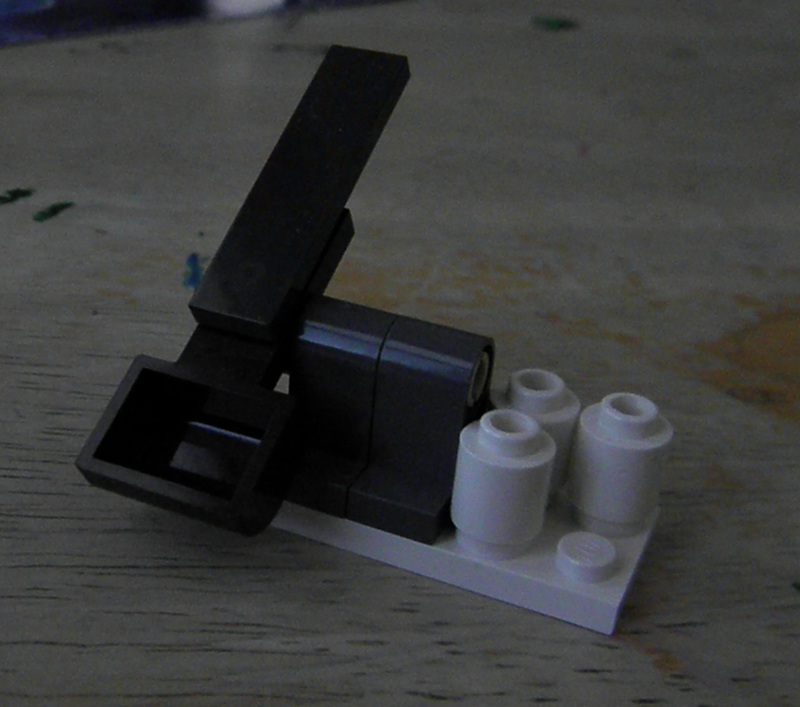 ), they’re mostly just little pieces, sets, and people that can be mixed in with the giant box of Legos. This year, we had a very hard time figuring out what the theme was. Well, not so much what it was, but WHY. OK, he’s missing a tooth, he’s scruffy, he has an I’m-up-to-no-good look. That’s weird. But he’s got a snowball, so maybe it’s just fun and games time. Yes, see, I reassured the kids, it’s just a snowball fight. You always bring your catapult to a snowball fight! 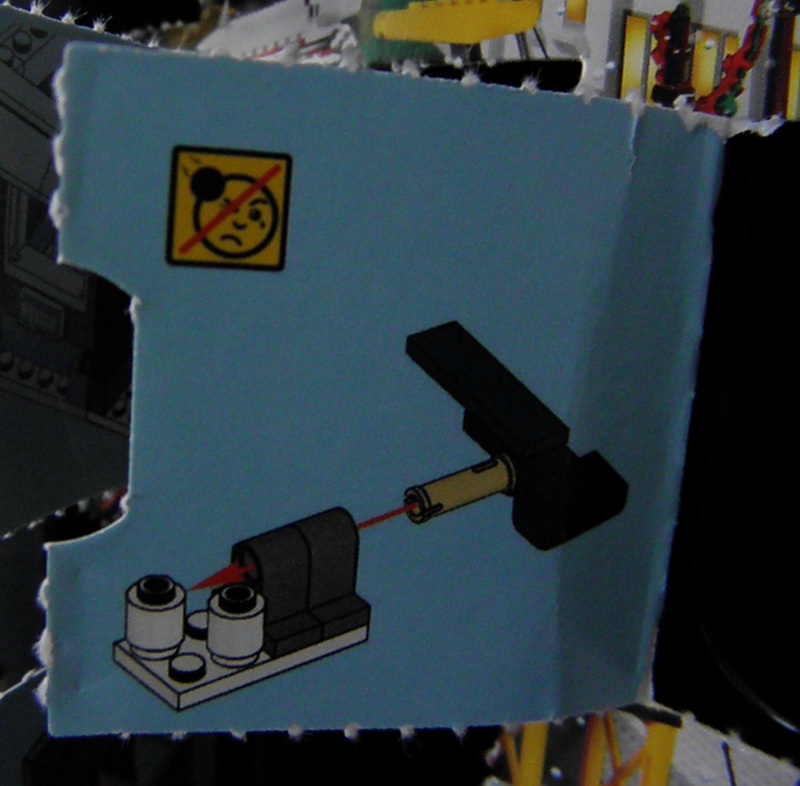 And thank goodness they warned us not to launch it into anyone’s eye. Because the last thing you want to do the week before Christmas is shoot your eye out. Where are we going with this theme? 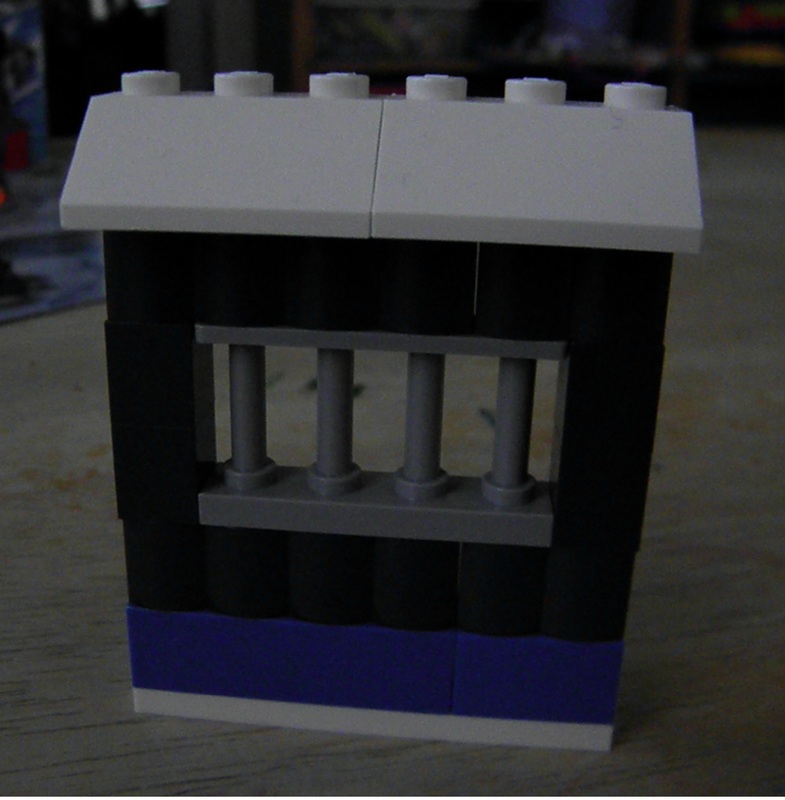 Immediately Older Son said it was a jail. I said no, it’s just a warming station. Or a snack shack. It’s Christmas in the city after all, and we’re having a snowball fight so we need some hot chocolate when we’re done. Why do I even try to be positive? I’m sure they think I’m already senile. Or just really pathetically naive. I’m surprised they don’t pat my head. The scene, as my boys predicted, was a JAIL BREAK. 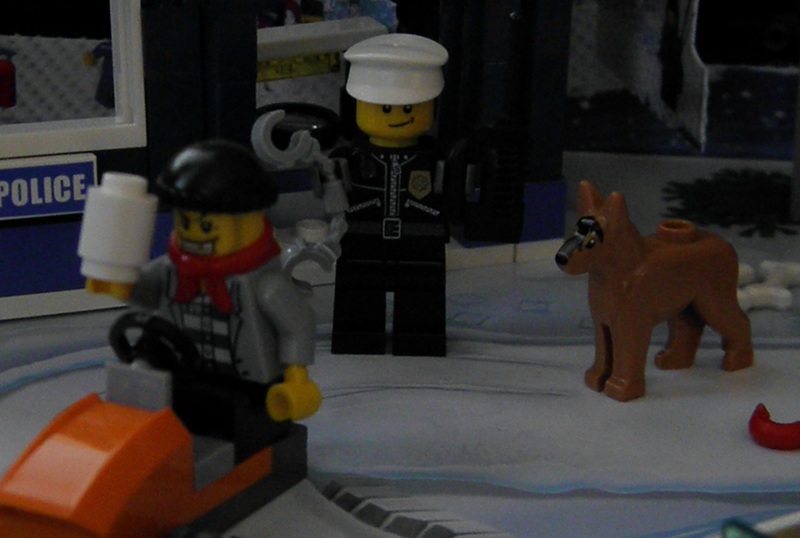 With more cops, a safe, cars and snowmobiles in pursuit, and don’t forget the K9 unit. And now, into the middle of all this chaos, here comes Santa. And he’s pissed. Ooo, nothing but coal for you, bad guys. And then you’ve just got this random dude out ice fishing. Does he even know what’s happening right behind him? Seriously Lego people. It’s CHRISTMAS! I’m all for madness and mayhem, I have boys. We have guns and swords and good guys and bad guys and wrestling matches and tae kwon do and WWE. But for Christmas? The boys were puzzled by it and honestly, a little disappointed. But that didn’t stop them from having some fun. Look how happy this guy is that he’s about to take a crowbar to poor old Santa. Look out Santa! Behind you! You’ve gotta be a hard, hard dude to want to beat up Kris Kringle. 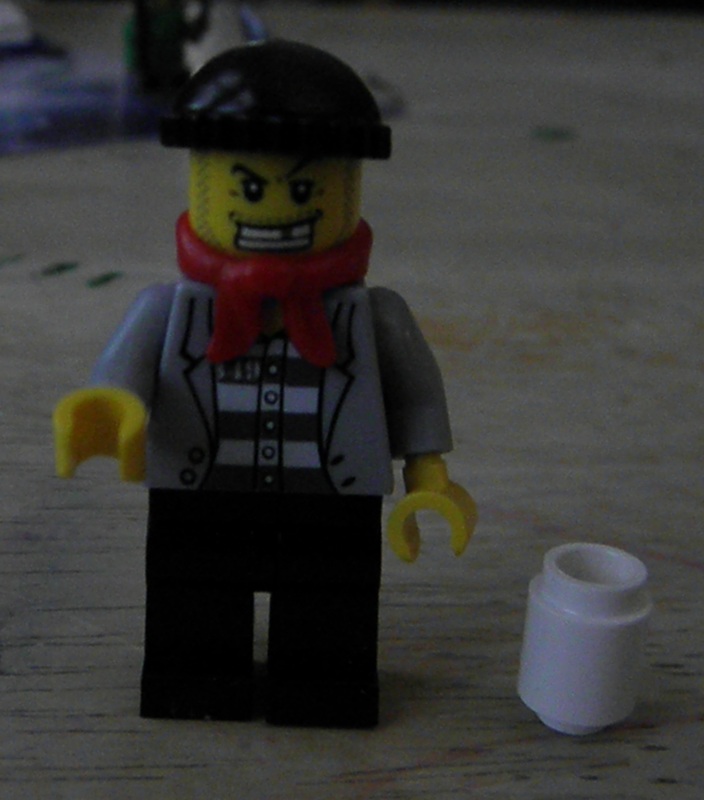 Maybe it’s Lego’s anti-crime campaign. “Be good kids, because if you grow up and become a felon you won’t get ANY presents! 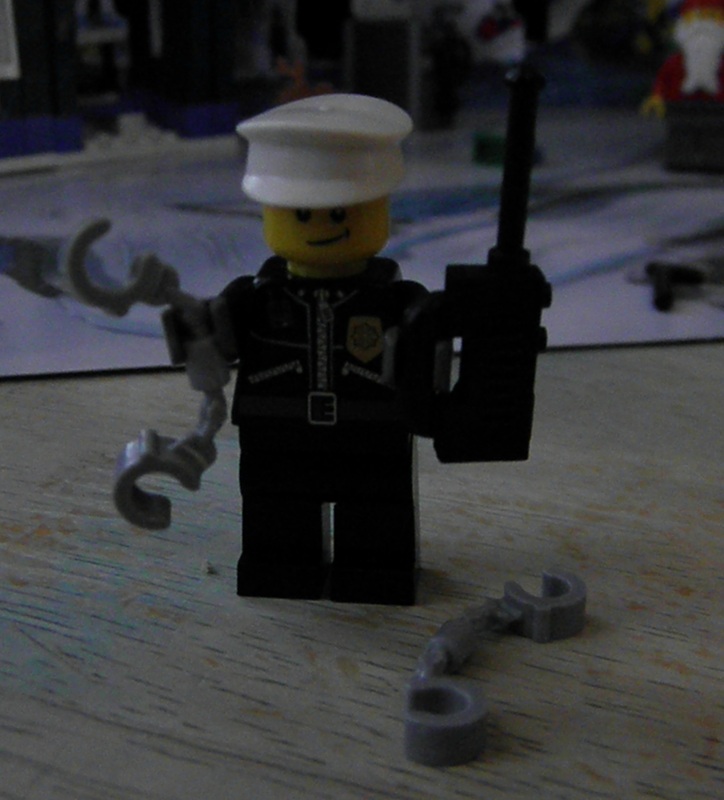 And have a Merry Christmas.” People of Lego: I’m not complaining. We’re over it. 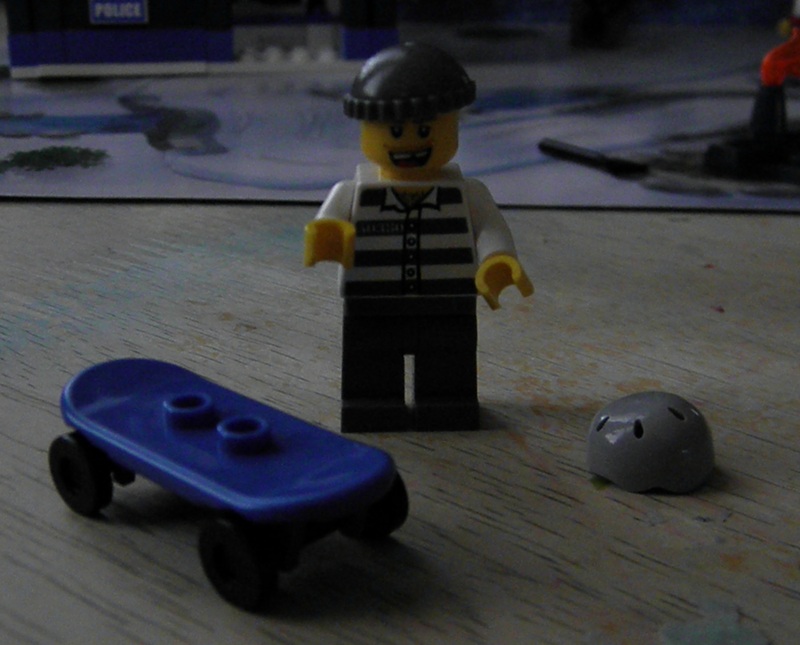 Our season was not ruined by the jailbreak advent calendar. But my sons respectfully request a little more holiday cheer next year. Mm-kay? 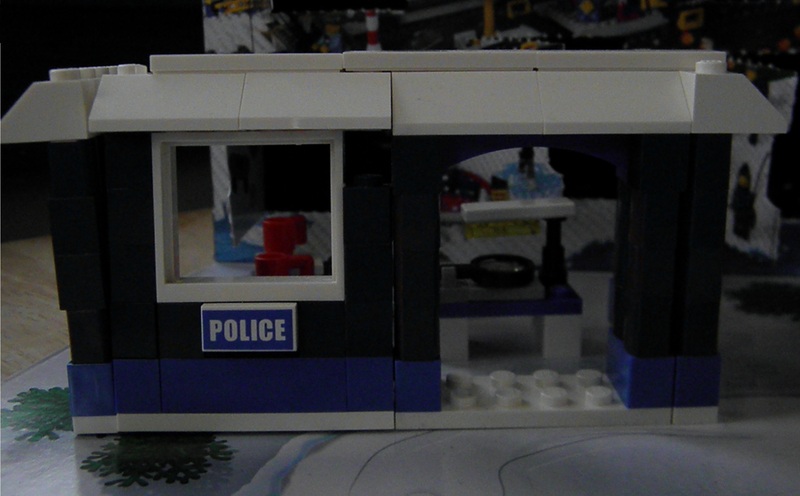 This entry was posted in Life Beyond Work and tagged boys development, lego city by Amy Pybus. Bookmark the permalink. Oh my gosh- seriously? You can’t make this stuff up?!?! Just for the record? I literally walked my last basket full of Xmas decorations down into the basement not 2 hours ago- advent calendar, mantle dec’s, fireplace lights…valentin e’s day here we come! Excellent column! You should send it to Lego or submit it to the paper. From now on it’s Playmobil only. That’s Grammy 🙂 Let’s not be too hasty…they might have Lego Star Wars again next year… Thanks for your support Mama. LOL LOL LOL. I read this and laughed so hard I had to read it again. Then read it aloud to hubby and laughed some more. This one goes in the book! Di – always my favorite fan and biggest supporter. Love and miss you guys! And no worries – our Christmas decoration boxes are still in the living room and the furniture is all askew waiting for us to move the boxes upstairs. Anyway, I started nosing through old posts because I was intrigued when I read you were a home daycare provider and I guess just curious about what it was like. I currently stay home during the week with our 5 kids (boy-10, boy-7.5, girl-5.5, boy-3 and boy-20 months.) I also work a weekend or so a month as a pharmacist at the local “big box retail chain” (honestly more grueling than being home some days.) My mother jokes when she visits about once a month that this is “Angela’s daycare center” with just our kids. It can feel like it, especially after summer break, staggered naps, terrible 2’s and willful 3’s plus the husband travels some along with working 8-6 every day and I have no real help I’ve been able to establish. (your “Carol” sounds amazing!) It costs a fortune just to pay a college student to come be an extra pair of hands and entertainment so I maybe can get the laundry done or dinner started. Anyway, thanks for the fun reading this evening. Aww, thanks! I totally feel your pain – but I get to send all but two kids home at the end of the day! Your poor daughter – the only girl right in the middle! Well I’m sure she can hold her own. Sometimes you can find people who are trying to become child care providers or teachers who need volunteer hours – maybe someone like that could come help you out. But get references! You probably found out I’m not a huge fan of timeouts – while I believe consequences for bad behavior are ESSENTIAL, sometimes timeouts end up being more trouble than they’re worth. We actually re-discovered Nanny 911, the show that came out before SuperNanny, and they really do a good job of giving natural consequences. Watch them if you can. Also read “Setting Limits with Your Strong-Willed Child” by Robert J. Mac Kenzie (in your free time)… 😉 And keep your chin up…this too shall pass….Thanks for reading and best wishes!